Our experienced personal injury lawyers headed by Philip DeBerard III has been recognized by Martindale-Hubbell for the highest ratings in legal ability and ethical standards, placing it among the top rated Florida law firms in personal injury and medical malpractice law. The firm also got awarded the "10 Best" client satisfaction award from the American Institute of Personal Injury Attorneys, has a "Superb" 10/10 Rating on independent attorney review site AVVO and have an A+ rating with the BBB (Better Business Bureau). The Law Offices of Philip DeBerard handle all types of injury and accident cases such as car accidents, truck accidents, slip and fall, wrongful death, brain injury, dog bites, product and drug liability, workers compensation, medical malpractice, nursing home abuse and more. Philip DeBerard takes pride in leading a cohesive team of hard-working lawyers, paralegals and staff. We are committed to providing caring, one-on-one service to clients across South Florida and the Treasure Coast including Fort Pierce, Vero Beach, Port St Lucie, Stuart, Okeechobee, West Palm Beach and beyond. Most of us have worked together for more than a decade. We will evaluate your case free of charge and provide common-sense advice about your legal options. If you decide to retain us, we do not charge any attorney fees unless we obtain compensation for you. If you've been injured call us today at 1-800-299-8878 for a free consultation and case evaluation. The law firm of Philip DeBerard, Injury Attorney, assists people seriously injured in accidents in West Palm Beach, FL and throughout South Florida and the Treasure Coast. For more than 30 years, Port St. Lucie personal injury lawyer Philip DeBerard, III and his legal team have been protecting the rights of people injured by someone else's negligence in St. Lucie County and other areas along the Treasure Coast and throughout South Florida. The firm focuses exclusively on personal injury law so it can best optimize it's resources and experience to get the best results for clients. Port St. Lucie personal injury lawyer Philip DeBerard, III and his experienced legal team are committed to ensuring that the individuals seriously injured through no fault of their own have access to the highest quality legal representation and unwavering advocacy. Their goal is to obtain the maximum amount of compensation for clients' injuries and losses. Attorney Philip DeBerard, III has received the highest AV rating from Martindale-Hubbell, and has been recognized as one of the top 100 trial lawyers in Florida by the American Trial Lawyers Association (ATLA). Attorney Philip DeBerard, III and his team have successfully handled a wide variety of injury cases, including car accidents, truck accidents, motorcycle accidents, product liability cases, pedestrian accidents, premises liability, medical malpractice, bicycle accidents, boating accidents, slip and falls, hurricane damage, boating accidents, wrongful death, and other cases that involve injury and negligence. Our "No Win No Fee" Guarantee Innocent victims who have suffered physically, emotionally, or psychologically due to the negligence of another individual or entity need quality legal help, regardless of their economic status. We fully understand the financial challenges injured individuals and their families are going through. To better serve the victims in St. Lucie County, we offer our representation on a contingency fee basis. This means we don't charge clients fees unless we win their case. In the state of Florida, there is a statute of limitations (time limit) within which injured individuals may make a personal injury claim. So it's important to contact The Law Offices of Philip DeBerard as soon as possible at (772) 464-8000 for a free, confidential consultation. 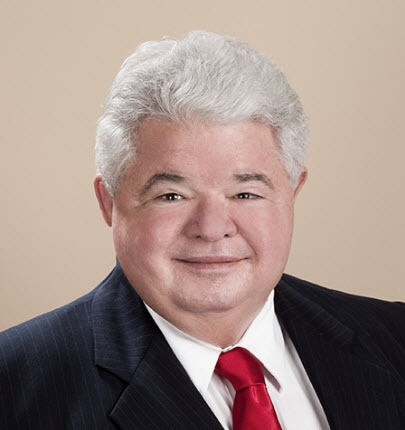 Personal injury attorney Philip DeBerard, III has more than three decades of experience helping Florida families and individuals overcome serious accidents and injuries caused by the negligence of others, having collected more than $125 million on behalf of clients. Born and raised in Florida, and Philip DeBerard has spent most of his life living in Martin County. He served in the United States Marine Corps from 1968 to 1972, and earned both his undergraduate and law degrees from the University of Florida. Attorney DeBerard's legal skill has received the highest AV preeminent rating from the prestigious national legal directory, Martindale-Hubbell, and I have been recognized as one of the top 100 trial lawyers in the state of Florida by the American Trial Lawyers Association (ATLA). DeBerard is also a member of the Christian Legal Society, Florida Bar Association, Florida Justice Association, American Association of Justice and the local bar associations for Palm Beach, Martin, Okeechobee counties. Florida attorney Philip E. DeBerard, IV is thrilled to join his father and leverage his own years of experience to help grow the family practice. Prior to joining his father's firm, Philip held the position of assistant Public Defender in Martin County, representing indigent clients in a wide variety of criminal cases. His breadth of experience includes factual investigation, legal research, motion practice, plea negotiations, jury trials, sentencing, and appeals. Philip DeBerard, IV was born and raised in Stuart, FL and had the unique opportunity to watch my father grow his personal injury practice during his lifetime into an established and trusted local firm. DeBerard earned my Bachelor's Degree in Business Administration from University of Florida, a Master's of Business Administration from Stetson University , and a Juris Doctorate from Stetson University College of Law in Gulfport, FL. 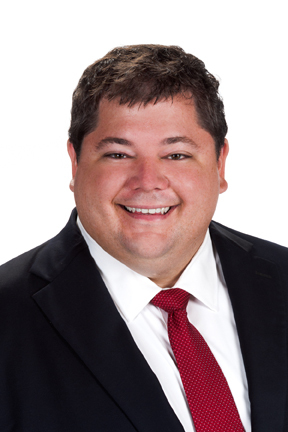 DeBerard is also a member of the Florida Justice Association, the Martin County Bar Association, and board member of the Young Professionals of Martin County. When not practicing law, Phil enjoys fishing and boating on the beautiful Treasure Coast. Phil is also a proud member of Gator Nation and enjoy all Gator sports and SEC football.